Feeling the tension together – how big are European crowds? 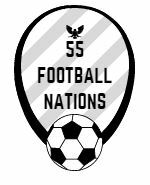 55 Football Nations is about different levels of top flight football. It explores the elite Western European leagues and football nations isolated from the mainstream. It embraces fans that watch journeymen players in dilapidated grounds and those who admire world stars in gleaming stadiums. 55 Football Nations compares the atmospheres, rituals and rivalries that underpin these footballing experiences. One of the pleasures of going to a football match is that you feel the tension together. But how many people typically watch first division football? Attendance figures are recorded, too patchily to be attributed, across the 55 football nations. Eleven top divisions attract healthy average attendances of 10,000 or more. This includes Scotland and Portugal where the twin club powers of Glasgow and Lisbon distort. A further ten leagues’ games are viewed by between 4,000 and 10,000 fans, encompassing the likes of Turkey, Israel, Czech Republic and Ukraine. Eighteen leagues and FC Vaduz of Liechtenstein, who played in the Swiss Super League in 2016/17, see crowds in the low thousands. These are exceeded by the fourth tier of English and third tier of German football. But size is context. Some of the 55 football nations are small, a few are very small. A quarter of leagues attract attendances in the hundreds yet a reasonable chunk of the Faroese and Icelandic population regularly watch league football. Football is important in the far European north. UEFA report that attendances are increasing in most Nordic and Baltic nations. Does domestic football maintain as much interest in Balkan and Eastern European nations? 55 Football Nations aims to uncover some of these differences in a rigorously unscientific manner.